Brainstorming sessions usually go one of two ways: you either have a handful of ideas that may work, or your team comes up short and you’re right back where you started with nothing to show for the time spent. Meetings like these leave many companies wondering what to do next. Should you pursue one of the five ideas your team came up with? Or do you go back to the drawing board altogether? If you have several possible ideas to run with, how do you know which one to use? Should you try out each one and see what sticks? Not exactly.Doing this can cost you a great deal of time and money just to learn a lesson. Instead, you’ll want to conduct the right research to truly discover if your “big” idea is worth pursuing. In today’s article, we’ll show you exactly how to accomplish this. 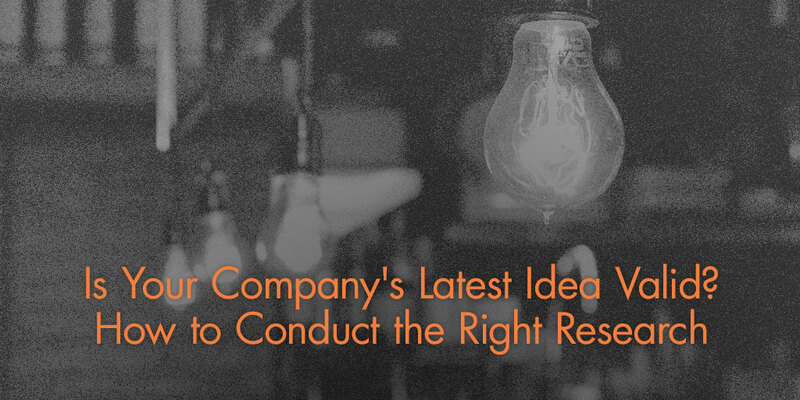 We’ll teach you how to conduct unbiased research to determine if your idea is as good as your team thinks it is. Bonus: Find out what your customers really think by creating unbiased questions. We’ll show you how in this free resource. Find out what your customers really think by creating unbiased questions. We’ll show you how in this free resource. Subscribe to receive it. Before spending time validating your idea, it’s important to understand why research is so necessary in the first place. For starters, conducting research helps you understand the struggles your customers are facing at a deeper level. You might already have a general idea of what problems they’re up against, but if you don’t confirm your assumptions, you may be solving the wrong problem and wasting time in the process. Research also clues you into the complexities of the conflict at hand. Are your customers looking for a simple solution, or do they need a well thought out and complex strategy to fix the issue? Research will enable you to understand the crux of the situation from the inside—rather than the outside looking in. Grasping the details means you’ll also be better able to create a solution to actually solve their problem. Brainstorming only allows you to imagine how your team can fix the challenges your customers face, but interacting with your customers offers information that your team may not have considered. 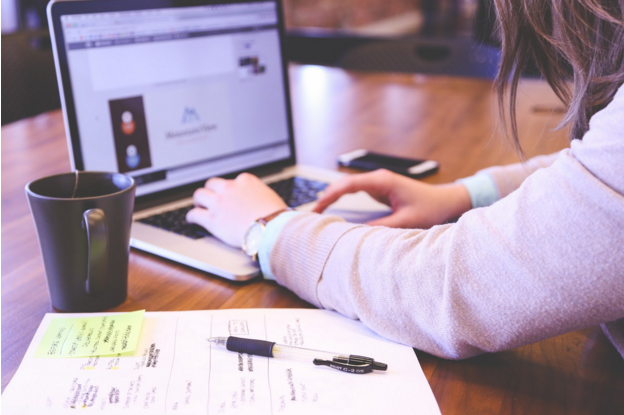 Essentially, research empowers you to make informed business decisions with confidence, and it’s one of the best tools for growing your company. By learning exactly what your customers think, you’re equipped to speak their language and streamline your marketing. You’ll create messages that speak directly to your customers. Surveys are usually the first go-to when it comes to learning what your customers really think, but they don’t always give you a complete picture— and they certainly don’t get to the root of the problem. A simple survey won’t give you the “why” behind your customers’ thoughts or actions. Instead, try having a quality, two-way conversation with your customer to gather insight and feedback. Before you embark on a wandering conversation, know that this strategy is more advantageous when you use the rightquestions. Spend time with your team creating a discussion guide that’s laser-focused with a series of questions and talking points designed to uncover what your customer really thinks. Now since you’re hoping to validate your idea, you’ll need to keep a few tips in mind. First, instead of using multiple choice or yes and no questions, you should create open-ended questions that give your customer the chance to provide honest feedback. Keeping your questions open-ended will encourage respondents to answer freely. You’ll even be happy to find that the conversation will flow naturally instead of feeling impersonable and stiff. It’s also important to keep your questions neutral. If your team uses a series of leading questions, you’ll inevitably validate your idea, but you’ll miss the mark overall. Although the goal is validating your idea, you don’t want to force your customer into doing so. Carve out time with your team to craft neutral questions and create a solid discussion guide before moving on to the next step. With discussion guide in hand, you’re ready to move on to performing customer interviews. Unlike surveys, customer interviews will enlighten you with information as to why your customer prefers other brands to yours or gravitates towards certain ideas over others. They also offer perspectives that you may not have previously considered. You just don’t get this opportunity from surveys since respondents are simply answering the questions using the responses you’ve provided. The good news is that you have one of three options when it comes to interviewing your customers: quick phone calls, longer phone calls, and in-person interviews. The fastest and easiest way to conduct a one-on-one interview is by scheduling a 10–15 minute phone call with your customer. During this time you’ll have the opportunity to ask only a few questions. Since time is limited, you need to make them count. Don’t worry about capturing long dissertations about your customer’s psychology—just gather quick takeaways that lead you towards a direction. If you’re hearing the same responses from customers, you may want to consider exploring that particular area further. You can then use the next two types of interviews to better uncover the problem. This amount of time gives you the flexibility to ask additional, specific questions and dissect certain questions that needed more clarity when you conducted the short interviews. To maximize your time, try not to focus on the quantity of questions asked and instead focus on the quality of responses by delving into your customers’ answers. If you feel hesitation, ask your customer follow-ups like, “What makes you say that?” or “Why do you think you’re feeling that way?” to uncover the real trouble. Still, you may find that you’re not getting the whole picture from these interviews. In that case, this last method will become your best option. Unlike phone call interviews, you’ll be able to see your customer’s body language during in-person interviews—giving you even more information about how they’re really feeling. If your interviewees have their arms crossed and their body language suggests that they don’t want to be there, you’ll know immediately that you need to make them more comfortable if you’re going to get them to really open up. When your customer answers a question one way, but their body language suggests otherwise, you can note this on your feedback accordingly. These kind of responses would go unnoticed during phone interviews, but may solve confusing anomalies during in-person interactions. Meeting with customers in-person will also help you gauge whether your customer gave you their full, undivided attention. Oftentimes phone call interviewees will try to multitask while speaking with you. But, when they’re face-to-face, they won’t have that option. Don’t overlook the fact that in-person interviews allow for naturally flowing conversations. This means you’ll be able to accurately steer the conversation towards follow-up questions or new topics on your list to give you the best chance at really uncovering what’s going on. This differs from phone interviews where your customers’ hesitations are harder to discern. They could be distracted or they may truly be unwilling to open up without the right prompts. Whatever method you decide to use, keep in mind that you’re not just coordinating these interviews to validate your idea. You should be focused on listening to your customers’ feedback as it relates to their biggest struggles. The more you understand their problems, the more you’ll validate if your new idea will indeed solve their issues. Conducting the right (unbiased) research is the only way to successfully uncover what your customer is going through. Use this research as early and often as possible and you’ll be one step closer to understanding how your ideas will provide value to your customer. Conducting the right research is the only way to successfully uncover what your customer is going through.